It is so important (perhaps the most important of all the Ten Precepts of the pukka sahib) not to entangle oneself in ‘native’ quarrels. With Indians there must be no loyalty, no real friendship. Affection, even love – yes Englishmen do often love Indians – native officers, forest rangers, hunters, clerks, servants. Sepoys will weep like children when their colonel retires. Even intimacy is allowable, at the right moments. But alliance, partisanship, never! Even to know the rights and wrongs of a ‘native’ quarrel is a loss of prestige. The introduction to this novel describes the desperate attempts by publishers to shield themselves from legal action if too close attention was paid to Orwell’s story. Unlike Animal Farm, or 1984, there was no way to pass the book off as a parable with a political subtext. Always a pragmatic man, Orwell cheerfully signed off on amendments to the text, although this led to lithographic errors that enraged him. The story features a newspaper named the Burmese Patriot. For the American edition, the author proposed it be renamed the Burmese Sinn Feiner. This speaks to the bloody-minded humour of Orwell, eagerly employing truth as a bludgeon. The story begins with the corrupt bureaucrat U Po Kyin, a sub-divisional Magistrate of the Burmese town of Kyauktada. He has climbed up the rungs of power through deceit and a willingness to destroy the reputations of his rivals. His conniving nature is such that he is known to take bribes from both parties in a legal dispute and then resolve the matter on the facts presented. This incongruously has led to him becoming known for a curious kind of impartiality. U Po Kyin has decided the only obstacle to further advancement is his superior, the British Empire loving Dr Veraswami. The doctor is well-known and has almost become an equal to the Europeans who run the businesses in the town. Immediately the rival for the doctor’s social status begins spreading rumours and lies designed to bring the good man low. Meanwhile the European Club of Anglo-Indian ex-patriates is thrown into dismay when their chair Mr McGregor announces that they are to vote on the matter of inviting a ‘native’, to join their select group. The most vocal opponent to the proposal is Mr. Ellis, a hateful bigot who is thrown into apoplexy at the mere thought of racial equality. Flory, a more impartial member, keeps his council, but is known by the others to be a friend to Dr. Veraswami and is accused by Ellis of being a traitor to the British Empire. Flory is also warned by his ‘native friend’, that U Po Kyin will conspire against him if he becomes too great a threat. Prepared to leave well enough alone, the self-pitying timber merchant takes no direct action, until the arrival of Elizabeth Lackersteen, a niece of one of the club members. Delighted by her apparent education and experience of the Parisian bohemian scene, Flory tries to introduce her to the sights and sounds of Kyauktada, hoping to enchant her enough that she will agree to be his wife. Much as he wishes to be free of the society of ‘pukka sahibs’, though, the broad-minded Englishman is unprepared for the danger waiting for him. Hoping to live equally in two worlds, he finds himself abandoned by both. Anthony Burgess once proposed that Orwell’s vision of Big Brother and Ingsoc was originally meant to occur closer to the date of publication in 1949. By setting the action in the far off future of nineteen eighty four, the threat posed was lessened. In Burmese Days the threat is very much close to the heart of the British Empire. This is a condemnation of their behavior towards the indigenous peoples of occupied lands. Flory and the doomed Dr Veraswami engage in a recurring debate as to the nature of the British regime. Flory describes it as theft conducted on a massive scale. The blinkered Veraswami assures his British friend that everything good in Burma has come from their conquerors. Both men criticize their homelands in favour of the other. Both are outsiders, belonging nowhere. There is a blackly comic tone to the proceedings (Flory rescues Elizabeth from a docile buffalo; Orwell includes a scathing description of her bohemian past in Paris), but also a sense of anger given full force. The muted tragedy of the last sentence of the book leaves the reader feeling hollow and cold. Visceral and brilliant. Irena told me once that she went into the woods by herself with the dog to think. About literature and politics and I don’t know what all. And I felt secretly embarrassed when she told me that, because when I’m alone usually all I ever think about is girls, and I felt inferior compared to her. Right now I am fascinated with the sudden interest in translated fiction from Europe and eastward towards the nations of the former Soviet Union. Perhaps the Millennium Trilogy by Stieg Larsson got things started, but even before the English translation of The Girl With The Dragon Tattoo, there were books by the likes of Pelevin appearing in Waterstones. What’s more we are in the enviable position to be able to enjoy works that were censored under Soviet rule, such as Mikhail Bulgakov’s The Master and Margarita. Not only did the Russian novelist fall victim to censure, he even earned special attention from Stalin by demanding to be allowed defect if his book could not be published. Josef Škvorecký’s novel was also banned and this edition opens with an Author’s Preface were he pleads for understanding and clemency. It’s a strangely pathetic plea, defending the work while simultaneously apologizing for it. In the regard the events of the book seem prophetic. Danny and his friends are waiting for the end of the war in the small Czech town of Kostelec. It is May 1945. Hitler is dead and the Germans are said to be retreating, with the Russian army on their tails and the western allied forces waiting in Berlin. Danny doesn’t care, he just wants to play jazz and sweet-talk some of the local girls. Of course he loves Irena most of all, but she is going out with Zdenek the thick-bodied Alpinist. Of course, one thing that really impresses girls is a hero, so when the opportunity arrives to teach the defeated Nazis a lesson, Danny, Haryk, Benno and Lexa sign up to join the official paramilitary force. They are shocked when the town elders demand they hand over the weapons they had managed to scrounge during the war and then ordered to march around Kostelec unarmed. Quickly deciding this was nothing like the revolution promised, Danny tries to think of way to avoid further boredom. He concentrates on trying to woo Irena, even as the occupying German force becomes increasingly nervous, with the growing danger of a massacre caused by an angry local trying his luck robbing a submachine gun. Despite not seeming to care a whit for the course of the war, he seems to repeatedly find himself in the centre of events, attracting the anger of a frightened German soldier and even later becoming an unofficial translator and guide for bewildered prisoners of war escapees. This is a blackly comic novel, with a wry note of suspicion towards authority. 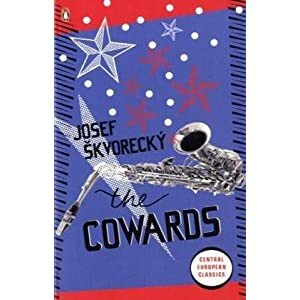 While Danny appears to care about nothing more than music, girls and American movies (nursing an enormous crush for Judy Garland), he is aware that all the folk of Kostelec are witnessing is a changing of the guard, despite the Soviets’ claims that they are a liberating force. Local boy Berty has even taken to photographing everything, with a view to selling the photos of the ‘revolution’, in years to come. There’s a significant scene between Danny and a soldier from Liverpool who asks if he would prefer if the British were in charge. Of course, he replies, but this is the situation. Again and again the theme of the novel comes back to impotence. The title is inspired by the characters failing to live up to the heroic ideal of patriotic warriors repelling the invaders with guerrilla tactics and bravery. Yet Danny and his friends know that they are caught up in events they cannot control, any more than they can get a girl to notice them. In his head winning over Irena should be easily achieved by imitating the Hollywood lovers he is obsessed with, even affecting an American accent every now and then. It never seems to work out in real life though. This story was written before the author was twenty-four years old. It is a young man’s book, but with an incisive degree of self-awareness and a mocking tone throughout. An excellent novel. They were the most moving sight there, two young people in love dancing together, blind to each other’s defects, deaf to the warnings of fate, deluding themselves that the whole course of their lives would be as smooth as the ballroom floor, unknowing actors set to play the parts of Juliet and Romeo by a director who had concealed the fact that tomb and poison were already in the script. I am woefully ignorant of the history of the Italian state. It has always been a source of great curiosity for me, though I have yet to take the time to educate myself. Di Lampedusa’s novel offers a sop to the one desire, describing the advance of Garibaldi’s republican forces and the history of the island colony of Sicily, while also inspiring a new fascination with the life of the author. 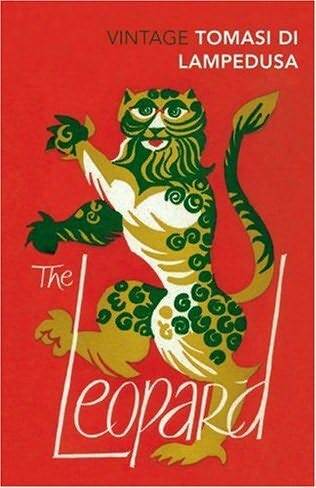 The Leopard was published post-humously and is one of two books available to modern readers by the writer, the other a collection of critical essays. The novel describes the slow demise of the Italian aristocracy, faced with the twinned forces of a republican uprising and a burgeoning nouveau riche upper middle class. Prince Fabrizio of Salina presides over his remaining family estates and shrinking interests, attempting to gauge the movement of history. The story begins in the summer of 1860, with the prince paying tribute to his king and afterward granting audience to his own tenants and peasantry. Rumours are growing of an invasion by Garibaldi’s armies. Fabrizio takes council to determine if his interests are threatened by the soldiery. His own nephew Tancredi, for whom he has guardianship, announces that he has joined the red-capped revolutionaries. In him, Fabrizio sees the future of his family line, siding with the tide of modernity that will wash away the Italian fiefdoms and principalities. The prince has that fatal quality of tragic heroes, being more intellectual and disinterested in his own fate, allowing younger men to take charge. The novel links the passing of old traditions and class with the encroachment of age. Fabrizio’s interest in astronomy is described as a scientific echo of long-dead Roman paganism. He yearns for a more concrete sense of an unchanging, eternal world, seeing only upstarts and vulgar soldiers becoming the new architects of society. One such bourgeois, Don Calogero Sedara, has a daughter. The rakish Tancredi, returning from combat, spurns the interest of Fabrizio’s daughter Concetta for the more ravishing, and wealthy, Angelica. He entreats his uncle to make the match between the two families. While Fabrizio is wary of elevating the Sedara family’s station, he admires his nephew’s cunning and opportunism. Tancredi’s own father wasted his inheritance and left him penniless as a young man. In this marriage he seeks out a stronger position for himself, just as throwing in his lot with the republicans ensured he was not on the losing side of the conflict. Fabrizio finally agrees to the match, conscious that in doing so the Salina family’s decline is assured, though the young man he regards as a son will thrive. It is gratifying that this translation of Di Lampedusa’s manuscript by Archibald Colquhoun retains so much of the original’s wit and wordplay. The free association of Roman gods and the starry sky at night; the prince’s retainer describing how Angelica’s grandfather was known as Peppe Mmerda, fertilizer which eventually led to Tancredi’s beautiful fiancé; the allusion to Shakespeare quoted above, as well as references to Eisenstein’s Battleship Potempkin. Luchino Visconti’s film of the novel was itself a study in opulence confronted with low vulgarity, with the leonine Burt Lancaster in the central roll. The story itself continues on into the 20th century, showing the eventual fate of the once mighty blond prince’s family, whose feline intelligence is passed on to his embittered spinster daughter Concetta. The significance of the title is a reference to Fabrizio’s nickname, as well as to the fair-skinned, light hair of the Italian nobility. The prince explains to an emissary of the newly formed Senate at one juncture how Sicily is a much conquered colony, having hosted Moors, Spaniards, even the English, yet takes a perverse pride in its permeable heritage. The republican movement unknowingly is simply yet another authority, an aristocracy in all but name, which will be tolerated by the people of the island as every other invader has been. This is a poignant study of mortality, both of the aging Leopard himself and his entire class’ way of life. A sublime classical work of historical fiction.